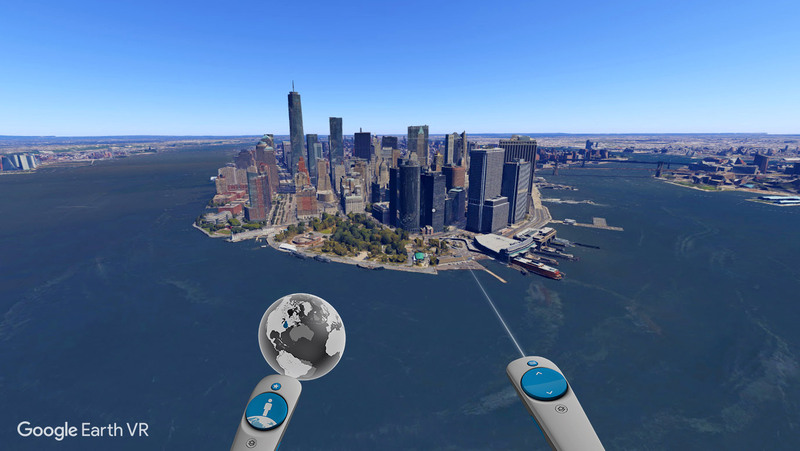 Google Earth VR was launched this week to great excitement, except to Rift users who found out that the game wouldn’t work with their headset. Little more than a day later, a hack surfaced that adds compatibility for the Rift, Touch, and even Razer Hydra to Google Earth VR. While SteamVR is primarily the home of the HTC Vive, it also supports the Oculus Rift and Touch controllers, making it easy to developers to release games that work with both headsets. Rift users were surprised and upset to find that Google opted not to take advantage of the platform’s cross platform capability, and instead restricted Google Earth VR to the Vive only. Given that SteamVR technically already supports the Rift, a hack surfaced in short order that forced Rift compatibility for Google Earth VR. Created by Reddit user Shockfire7, the hack is called FakeVive, because it spoofs SteamVR into thinking that the attached Rift is actually a Vive, and thus Google Earth VR does it’s thing without fussing about the Rift. FakeVive is a DLL which you can drop into the app’s folder to make it believe that a Vive is connected. It’s not a reverse Revive or anything, it just intercepts the OpenVR requests for HMD information and spoofs the model string. I don’t care to make it much more complex than this because SteamVR already supports the Rift fairly well. FakeVive doesn’t involve modifying any of the app’s files and it doesn’t do anything specific to Google Earth VR. This makes it easy to install and it will continue to work even if the app is updated (assuming the HMD check isn’t made more complex). Installation is as simple as unzipping a folder into the right place, and because of the way it the hack works, it could be a foundation to unlocking Rift support in other SteamVR titles which explicitly don’t support it. In addition to the Rift, the FakeVive hack also makes Google Earth VR work with the Touch controllers, and even the older Razer Hydra controllers. LibreVR, creator of the popular ReVive hack which allows Vive users to play many Rift exclusive games on Oculus Home, had posted instructions for a similar hack on Reddit prior, but called FakeVive “a much better solution” thanks to its ease of use. LibreVR has also now contributed to the FakeVive code. The reason why Google opted not to support the Rift in the first place is unclear. Their response to that question has been relatively vague, along the lines of ‘we want to focus first on making it work well on one headset’, but it seems clear that it didn’t take much effort to implement support. Google could be waiting for the launch of Touch, or maybe withholding their support for business reasons (to our knowledge the company hasn’t released any VR applications on Oculus platforms). 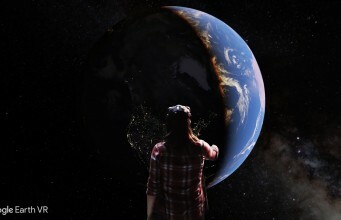 The post Hack Makes ‘Google Earth VR’ Compatible With Rift and Touch appeared first on Road to VR.